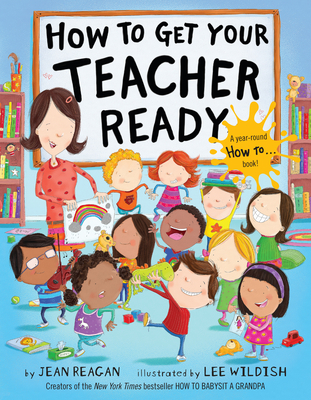 How to Get Your Teacher Ready… all year long, from the creators of the New York Times bestsellers How to Babysit a Grandpa, How to Babysit a Grandma, and How to Catch Santa. JEAN REAGAN was born in Alabama but spent most of her childhood in Japan. She now lives in Salt Lake City with her husband. In the summers, they serve as backcountry volunteers in Grand Teton National Park in Wyoming. To learn more about Jean and her work, please visit JeanReagan.com. LEE WILDISH has illustrated a number of children’s books, including Twosomes by Marilyn Singer on the Knopf list. To learn more about Lee and his work, please visit WildishIllustration.com.